The South Indian state of Kerala is either on the bucket list or the favourites list of many travellers. With a rustic beauty to explore, indulging in delicious food, and experiencing a rich culture, pristine wildlife, tranquil backwaters and beaches - God's Own Country never ceases to amaze! Kerala is also an apt location for those practising any form of art. 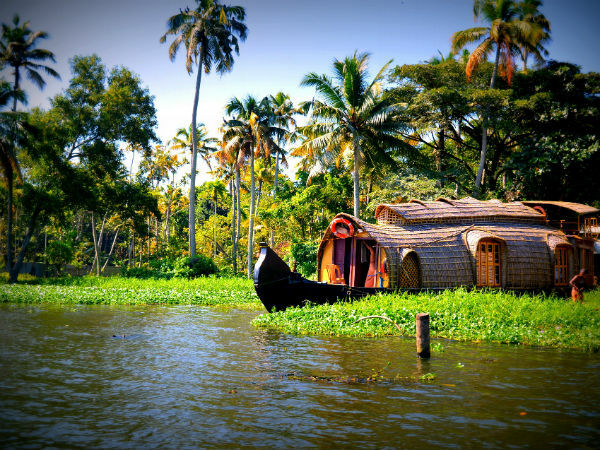 If you are a shutterbug, Kerala is undoubtedly the place for you. Be it the romantic Kerala monsoons or the freely roaming wild elephants in Munnar or the colourful sunset on one of the many pristine beaches or the grand celebrations of religious or art festivals - you are sure to get some of the most amazing shots in your collection. Take a look at these 7 picturesque destinations of Kerala that are just right for shutterbugs. Located in the Thrissur district of Kerala, Athirappilly Falls is a stunning spot for photography. This largest waterfall in the state has also been the shooting location for numerous South Indian as well as Bollywood movies. The best time to visit Athirappilly is monsoon and post-monsoon when the waterfall and the Chalakudy river, on which the fall is located, is brimming amidst the lush surroundings. Located just about 16 km from Thiruvananthapuram, the coastal town of Kovalam is famous for its beautiful, secluded beaches. The long stretches of coconut groves lacing the shore gives it the name Kovalam, which means coconut groves. Capture the surreal moments as the waves come crashing on the sands and rocks. Freeze the moments on your camera as the sky turns into an artist's canvas spilling with colours or as the fisherfolks venture out into the open waters for the day's work. Fondly called the Kashmir of South, Munnar is one of the most popular places in Kerala. Located in the Idukki district this hill station is surrounded by sprawling tea plantations. As it is situated in the mountain ranges of the Western Ghats, it is also home to rich wildlife, beautiful hiking trails, hidden waterfalls and more. If you are lucky, you can see wild elephants roaming freely on the green slopes and rolling hills not too far away. Wildlife is one of the best subjects for photography. Wayanad is home to scenic beauties, breathtaking landscapes and a rich wildlife. The Wayanad Wildlife Sanctuary houses a variety of wild animals like tiger, deer, elephant, bison, etc. The sanctuary is the second largest in Kerala and its dense forest covers offer pleasant views of the surrounding valleys, hills and unique terrain. Go on a safari to capture these marvels of nature at Wayanad Wildlife Sanctuary. Also called the rice bowl of India, the Kuttanad region of Kerala spreads across the Alleppey or Alappuzha district. With numerous canals, sparkling lakes, rivers, beaches and backwaters, Kuttanad is the ideal location to experience the beauty of Kerala backwaters. Another interesting fact is that, Kuttanad is also the only place in India that carries out rice cultivation below sea level. Travel to the expansive paddy fields and networks of glittering waterbodies to experience the side of Kerala that is rich in culture, beauty and nature. The spectacular beach destination of Poovar is a popular tourist location. The town is located about 30 km from the capital city of Thiruvananthapuram or Trivandrum in Kerala. In local parlance, the name "Poovar" loosely means "a flower river", as mentioned by a great poet from the past in one his works. The surreal beauty of Poovar Beach with sparkling water and tranquil shores, will leave you speechless.